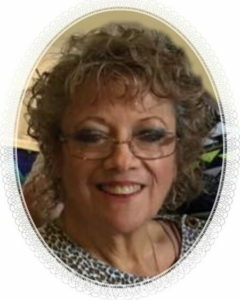 Staten Islander Karyn M. Valentino, an RN who retired early from VNA Staten Island, died on Sunday, Sept. 11, 2016, in RUMC, West Brighton. Born Karyn M. Otten in Sunset Hill, she married in June 1984 and remained in her childhood home. Karyn loved spending time with her family and enjoyed cooking huge meals so everyone could be together, which brought her so much joy. She enjoyed lying in the sun and going to Cape May. She loved to play with her grandson and make him smile. Karyn is survived by her husband, Joseph J. Valentino Jr.; two sons, Joseph and Paul Valentino; a grandson, Joel Cameron, and her two sisters, Janeth Gottfried and Daryl Zito.